I’ve been mining and prospecting for many, many years. I’ve had the “pleasure”, sometimes frustrating, of working with mining operations and prospectors all over the world. This has taught me a few things. It’s 100% changeable, tune-able, and adaptable. 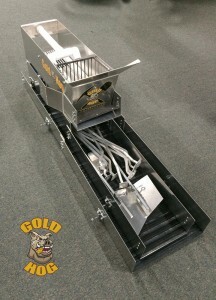 I designed the SUPER HOG so that it could be SPECIFICALLY AND EXACTLY changed and tuned to meet your slurry needs. Each tray can be adjusted independently changing the pitch and water speed. 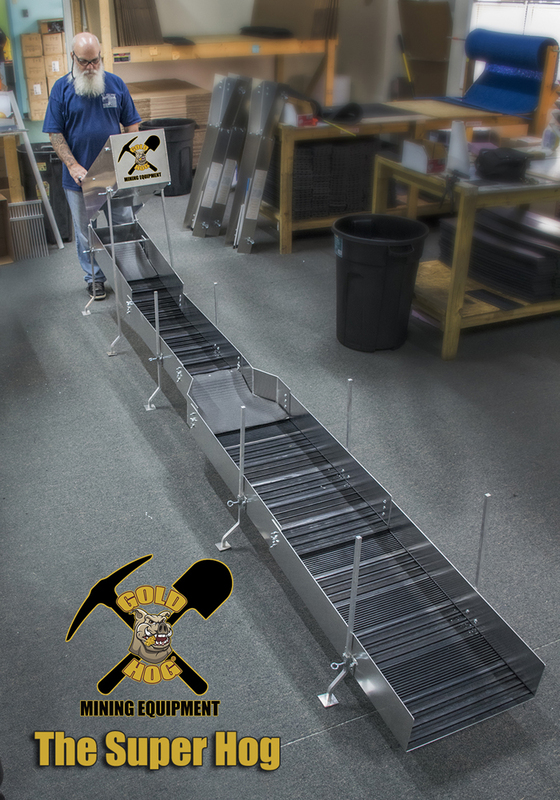 Each tray can have different matting configs and these can be changed based on your needs for THAT DAY. This versatility makes it one of the BEST performing plants on the market today. PERIOD. #1 Gold doesn’t really change, it’s an element. While the SIZE and the SHAPE of gold will change. It’s an element and remains fairly consistent around the world. 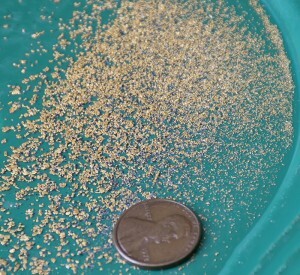 Some areas are loaded with super fine gold, barely visible to the human eye. 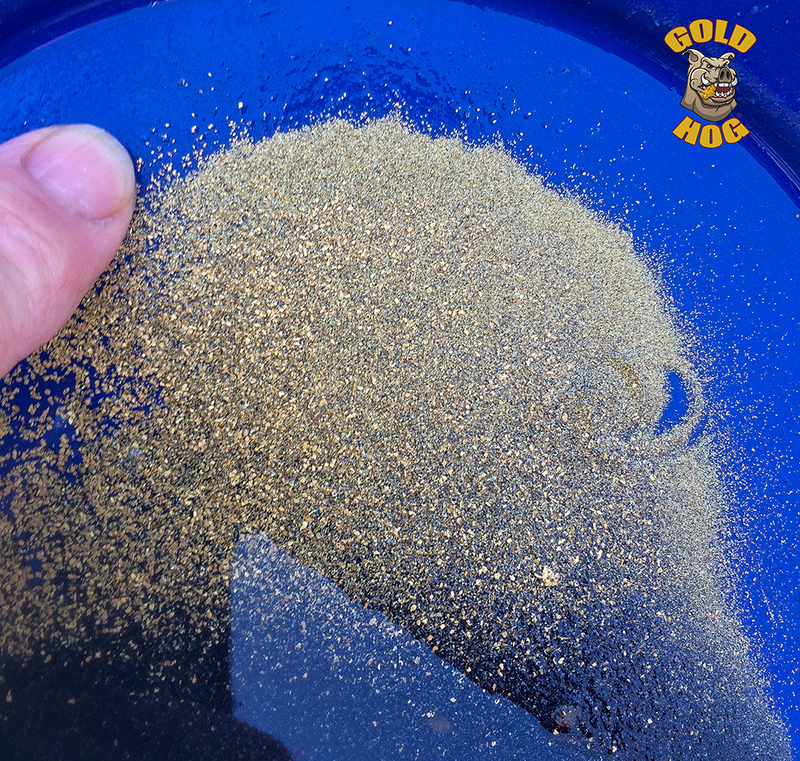 Some areas have super FLAT gold which has been pounded flat by huge water movement over 1000s of years. Some areas have chunky course gold. 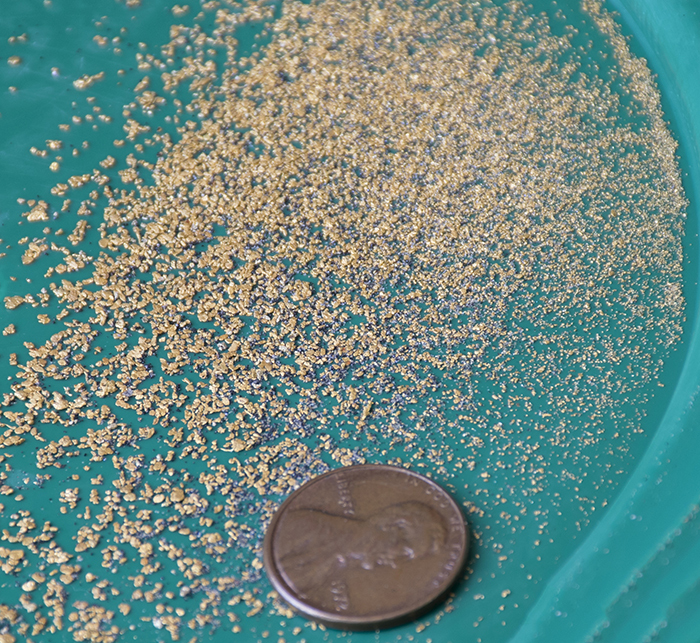 In the end though, placer gold is pretty much placer gold. It’s the dirt that it’s contained in that offers the changing factors in extraction. #2 The “dirt” is never the same. I remember one week watching river gravels being processed in the southern US, then the next week watching yellow thick mud running through a commercial plant in Africa. In the end, the GOLD looked exactly the same, but the slurries were so different it would shock you. There is NO WAY a sluice from the US would work there and that was proven in the GOLD RUSH series. Losses were huge. Let’s not even discuss the following week when we were running black beach sands. A key function of the Super Hog is that the slurry is exposed to MANY different exchange surfaces, velocities, and mattings. This multiple area capture and changeable system adapts to any region of the world. Need to change a mat? No problem. Each tray can be changed in seconds and adapted to the area you’re running. The Size… What am I doing today? Each week I walk out to the equipment locker. I have to look around at the various units and decide which one will suit the job I’m doing. Am I just scouting? I need something small. Am I running a full production crew? I need something to run 200 buckets an hour. It’s ever changing. 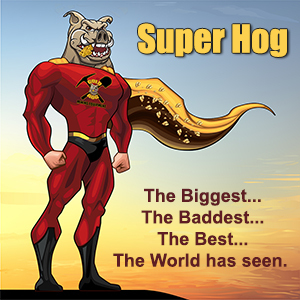 The SUPER HOG does just that. I changes based on your needs for that day. From a small scouting and testing unit to a full production unit running 100’s of buckets and hour. It truly is the one unit you’ll never outgrow. You might start off prospecting… but at some point you’ll want to switch over to “mining” and production. The SUPER HOG does exactly that. 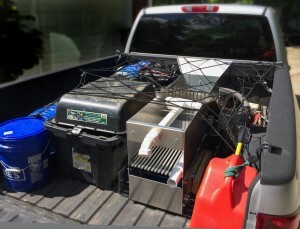 People forget that a water pump can be a HUGE part of your budget. That’s why we designed this system so it could be used with a CHEAP pump. If you want high quality, buy a nice $600 water pump. Some people want to keep it cheap and spend $250. The choice is yours. Personally I prefer to buy 2 cheaper pumps (for the price of one really nice one) and rotate them. Servicing them and rotating them often. If one gets stolen, I have a backup. Again, it’s personal preference. 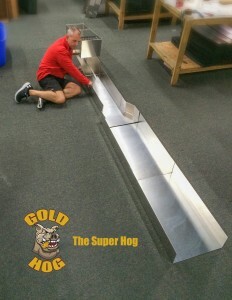 The SUPER HOG was designed to run off the most readily available pump on the market. A 2” semi-trash pump.